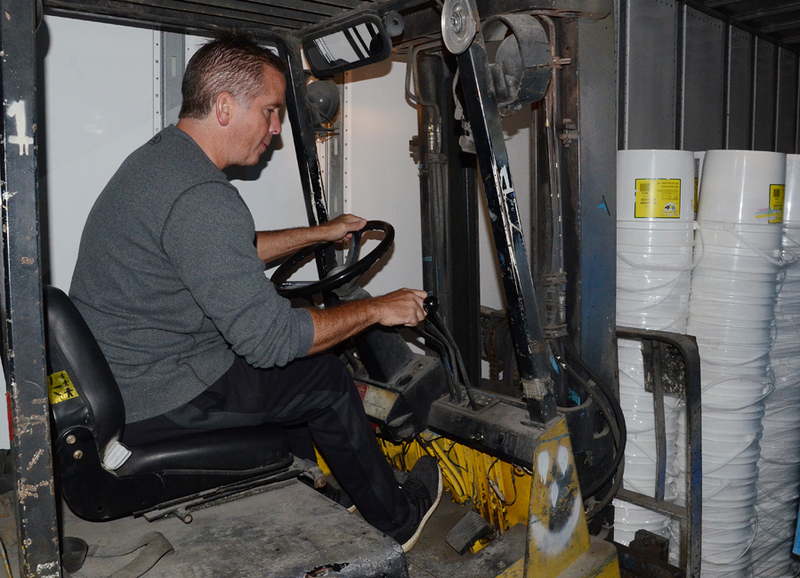 Josh Grill from World Compassion Network loads a pallet of buckets to be used for bailing flood water onto a semi headed for Hurricane-damaged Florida. WARSAW — Florida residents who are enduring the aftermath of Hurricane Michael will soon be experiencing some relief made possible through an act of kindness from four states away, namely Kosciusko County. 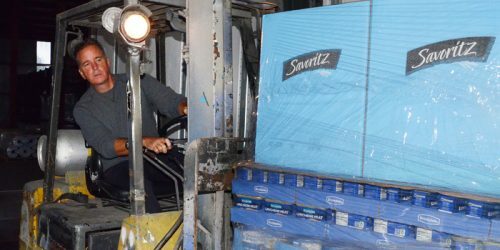 On Monday morning, Oct. 15, personnel with the Warsaw-based World Compassion Network loaded a semi tractor-trailer full of relief supplies earmarked for distribution in Ocala, Fla. The truck was loaded by forklift with a variety of supplies, including food for the pets of displaced Florida residents. Josh Grill loads a pallet of food onto the semi. Hatcher said the organization is a non-profit ministry, which specializes in national and international disaster relief. “We’ve been around about 12 years,” she said. Use of the semi was provided courtesy of Silver Lake-based Metzger Trucking. The company’s driver, Bill Frantz, said recipients are always grateful for the supplies that make the southern trip to help families left devastated by such a natural disaster. “The real impact is at the other end,” said Frantz, who will be heading south to the disaster area on Tuesday, Oct. 16. The supplies loaded on the semi included buckets, staple food items, hygiene and medical supplies and lots of bottled water. Hurricane Michael made landfall in the U.S. on Oct. 10 and has already been attributed to dozens of deaths. It has been called one of the worst storms in U.S. history and is credited for creating at least $8 billion in damages.